Hospital-acquired infections (HAIs) pose one of the major challenges to therapeutic applications of biomedical devices under clinically relevant conditions. A paradigm shift in understanding and pathogenesis of biofilm formation has constantly been forcing professionals to adopt some novel and effective, yet affordable anti-adhesive/anti-biofilm technologies for successful long-term implantation of devices without infections. The intriguing physicochemical properties of a biomaterial’s surface is crucial to develop novel coating technologies where the anti-fouling feature of the device must also be accompanied with its long-term antibacterial performance without introducing toxicity to mammalian cells and the drug resistance. 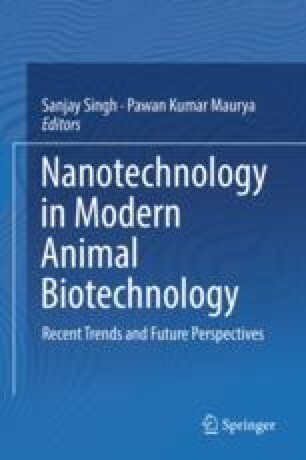 One of the best strategies to minimize nosocomial infections is through using biocompatible polymers that exhibit either an innate biocidal characteristic or may be surface-modified to impart antimicrobial features to a biomaterial by introducing biocidal agents, such as antibiotics, antimicrobial peptides, and more recently silver nanoparticles (AgNPs). Nano-silver has been widely accepted as the most efficacious metal that is well-adorned with antimicrobial properties due to its oligodynamic action, multifaceted mechanisms of biocidal action and low cytotoxicity to humans. The present chapter thus provides an exhaustive information about various surface modifications strategies for biomaterial coatings, which can be employed to immobilize silver nanoparticles onto polymeric composites with a few common goals, i.e. broad-spectrum antimicrobial nature, higher efficacy, stability and promoting reuse. Various nano-silver based polymeric composites of both natural and synthetic origin will be discussed as potential coating materials candidates for implants (vascular grafts, endotracheal tubes, and catheters), wound dressings, surgical mesh and other porous scaffolds. The application of AgNPs-polymeric nanocomposites into several forms such as thin films, fibers, hydrogels, and multilayered structures will be correlated with their clinical relevance. Lastly, potential toxicity and safety concerns using these nanocomposites will also be discussed.